I twist and turn as the afternoon wears on at work. Finally the bell rings and I rush home to go fishing. I throw off my clothes and embark for the reef. The motor does not fail. 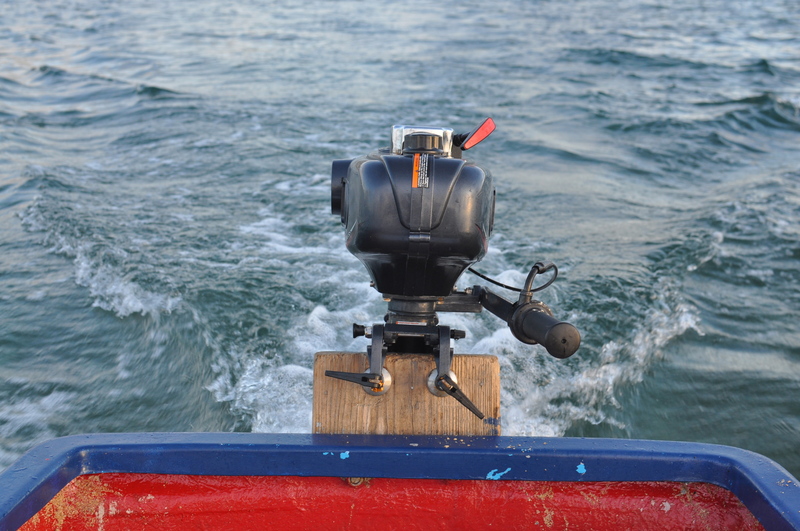 Why have I such a deep distrust for outboards? I expect them not to start. 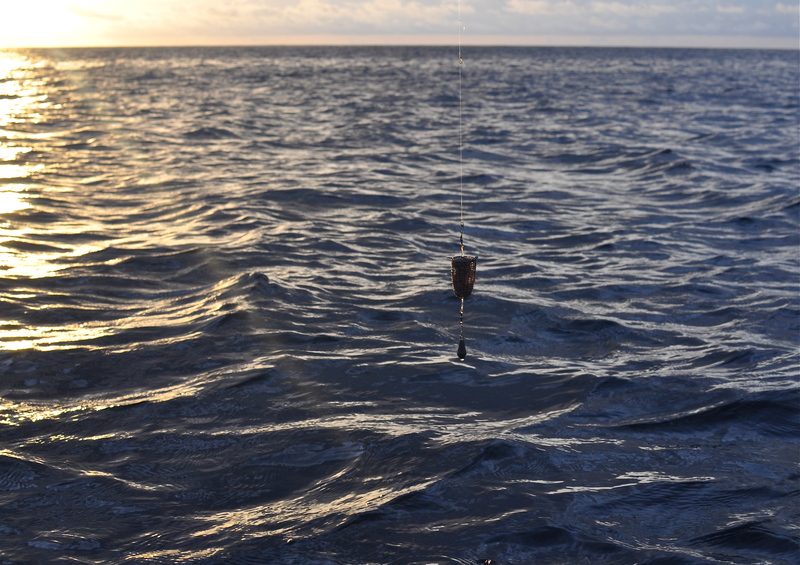 Up to now I have caught lots of small reef fish but tonight I am stalking bigger prey by fishing deeper. 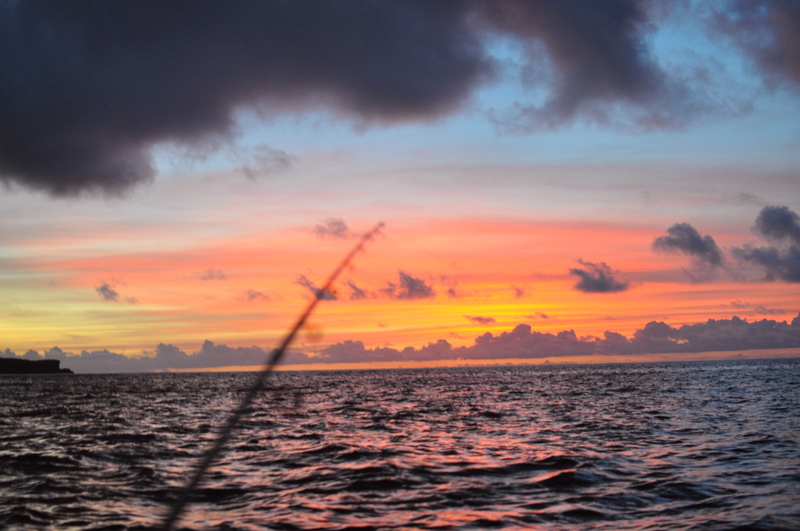 The sun is setting and the fish are hungry. This little basket has about 1 minute to live. As soon as I lower the bait, there is a tremendous bite but after 45 seconds of skilful angling the huge fish rips the Sabiki untimely from the line. I am panting with excitement. I re-rig and sure enough I get another bite. This time I manage to bring the fish to the boat. 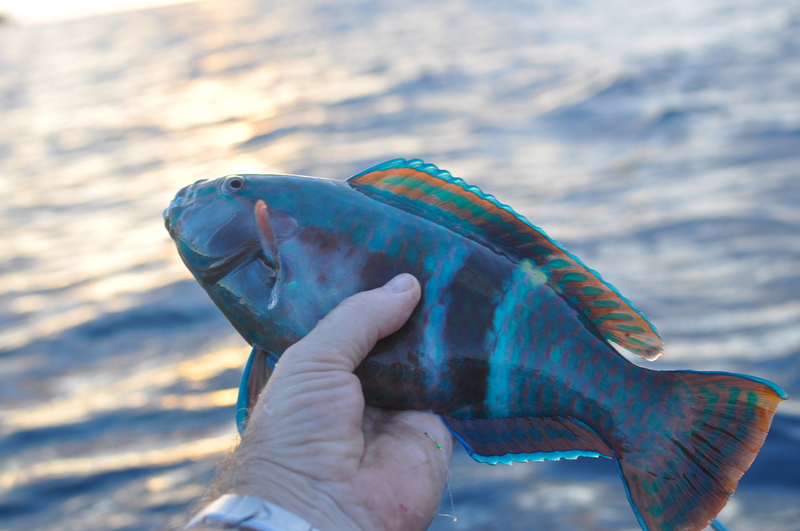 A reasonable Parrot fish. They are usually very argumentative. I start again and there is a bite, a palpable bite, which of course in a very short time rips my hooks untimely from the line. I will have to beef up my gear. Anyway, it gets dark and I speed back home as the full moon rises. Now is the time to anchor. It is a very high tide which I suspect has something to do with the full moon, or vice versa. I am a very neurotic anchoring person. What if there is a squall during the night? What if the wind changes direction? Will the anchor drag? This means I place the anchor by hand by diving down with my long black Polynesian hair streaming behind me. I set the anchor to my satisfaction but realize that my specs, which had been around my neck, have disappeared into the dark, dark, East China Sea. “My eyes are blind, I cannot see. Lo, what specs by yonder rock hold parliament with a congregation of crabs? Yep, I find them. 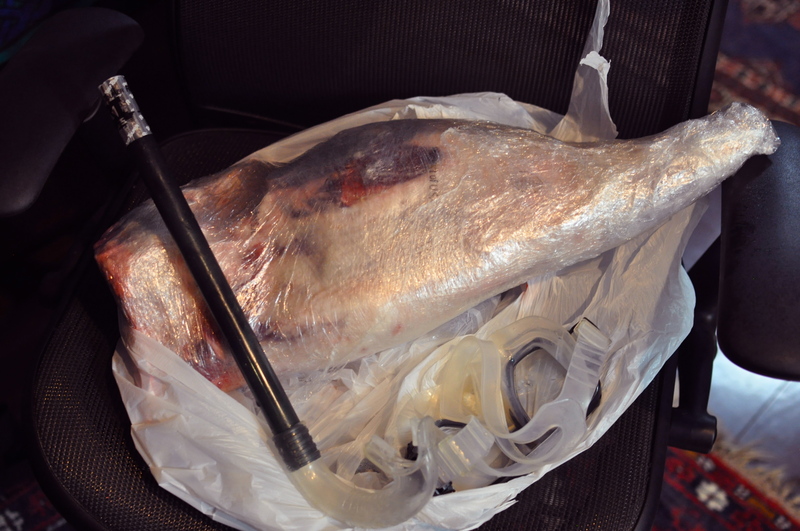 I finally get back at about 9:00 to find that the leg of lamb fairy has been to the house and left a huge gigot on my chair. Far on the ringing plains of windy Troy3. This entry was posted in Uncategorized and tagged fish, motor, Sabiki, Tennyson. Bookmark the permalink. Specs lost at sea – nightmare! I seem to remember you had a pair of prescription goggles – that would have wowed them in the office. Anyway, push off and sit well in order but avoid those gulfs!